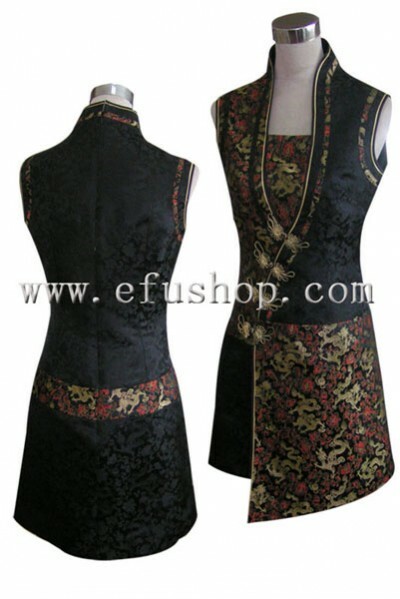 description: Two silk fabric combine this dress. Pure black and gold dragon on black background. Double piping. Sleeveless, kenn length. A big U with open on the front. Phenix buttons. A improved and elegant style.